SelectDFW believes that any product or service you use, should always offer you a great value for the money. Therefore, our Dallas Town Car Service provides you with luxury transportation that guarantees you will experience a great value for every penny you spend to hire us. Yes, you can access our online reservation service that is quick, convenient and easy to use when booking your reservation. Let us know the time and place and our uniformed chauffeur will arrive in time to pick you up. 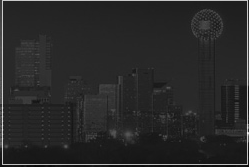 We are the premier Dallas Town Car Service provider. Here at Select, we strive to provide our clients with the highest level of service possible. With over 30 years experience in the business, the staff here at Select can assist you and create a better user experience than ever before! When you let us in on your travel preference, you give Dallas Transportation an opportunity to serve you better. Whether you want to travel to or from the airport, a shopping trip, a business meeting or whether you want to hire a limousine or car for the entire day on hourly basis, please feel free to let us know. We hope you're all excited and geared up for your drive with Dallas Town Car Service. We are equally eager to serve you!